This is Nina a.k.a Faralina. Ok after shoot a little girl,now it's time for shoot my sister.. I ask my sister for try some pose.Actually this is the experiment, because soon I will take my sister as a model under the brand label hijab The Purple Roomz.Still in the planning....Will come soon. 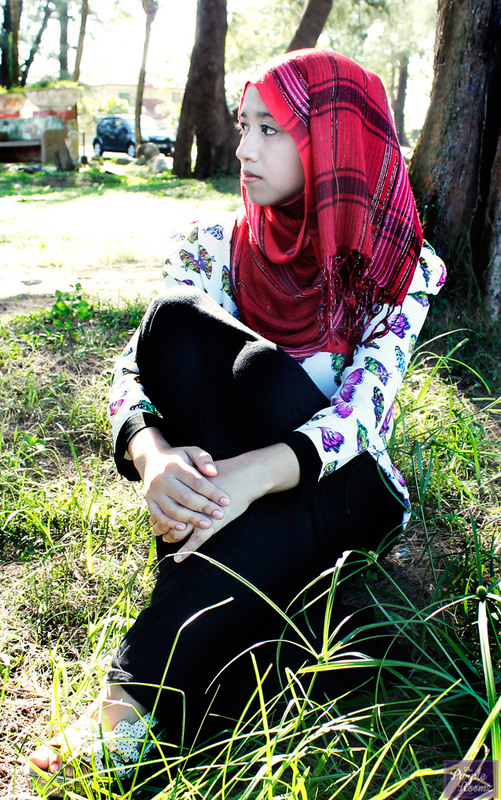 thanks Elya Roza for blog walking..at blog thepurpleroomz..
no problem Lulu ly,I'm searching model yg unik and kreatif make their own style hijab..anything u can just email me..